Picked up a new tool to work on lights in a playground. Very cool! Everyone loves a cherry picker! 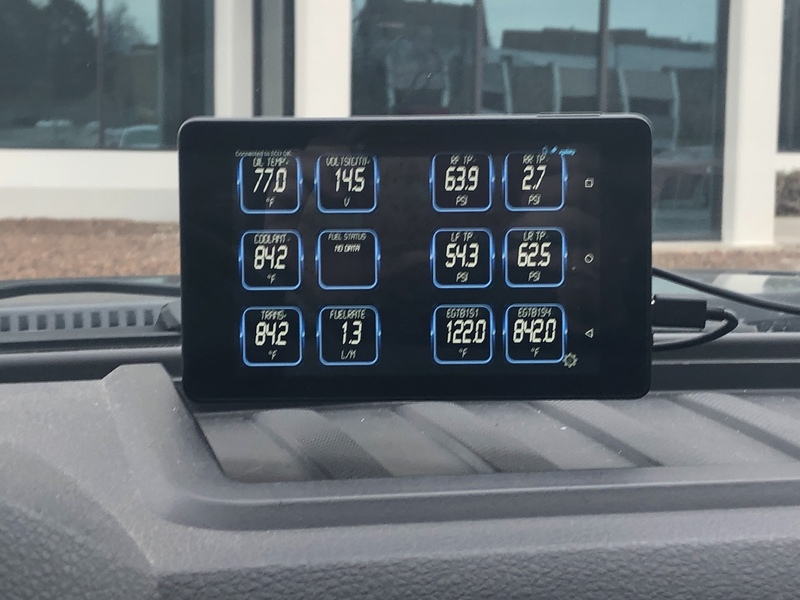 I have put about 800 miles on my truck now, absolutely love it... Changed oil and fuel filters yesterday also, way easier and cleaner to change fuel filters compared to the 6.4. G8orFord and joebuck like this. Well I'm not so happy with this Steelcraft bumper... It's all of a month old and it's getting a blueish haze to it. After I installed it I waxed it like the directions said to, I use Meguires ultimate paste wax like I would on the truck and it looked good. A week later I noticed it seemed pretty dull which I just assumed was normal since it probably just came out of the factory and directly to my house and how it gets time outside. Today my uncle came over and asked me if I forgot to take the wax off because it looks like dried wax that was never taken off but no matter how hard you scrub it stays. 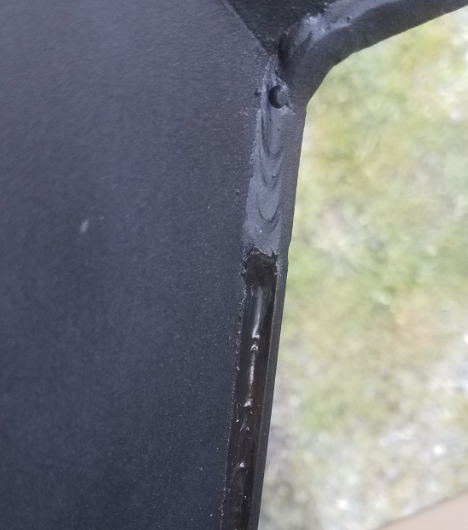 I figured maybe it's an application error as this is E-coated and not powder coated or painted like my previous bumper so I got some wax and grease remover but it still won't touch it. Looks like I'll be calling Steelcraft this afternoon... This paired with the half welded half caulked areas, I am not happy thus far. Pretty disappointing really, the steel its self is probably the strongest bumper I've had but the manufacturing process took a dive. Wow they actually put caulk on there. . .
Well I'm not so happy with this Steelcraft bumper. This paired with the half welded half caulked areas. And I'll bet they brag about how it's American made too. I really like the looks of the bumper though. Sorry to see that. 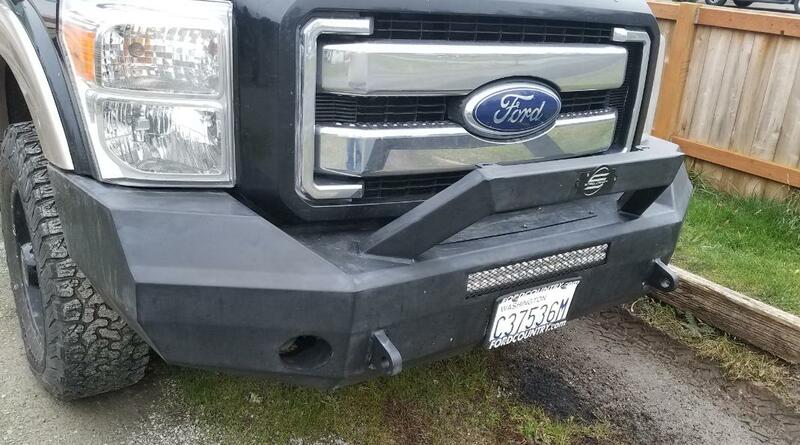 I'm thinking about an aftermarket bumper for my truck too. Now I'm not so sure. Hard to tell who to buy from. Yeah I wasn't the happiest when I seen that lol. Oddly enough they don't boast about being American made, they just say that they were founded in California in 1998 and have their shop in California and Texas. Originally I wanted the Go Rhino one (I like the look of the more square bumpers on these trucks) but the fact they advertise it at X price but then you have to spend $300 more to make it work told me I didn't want it. 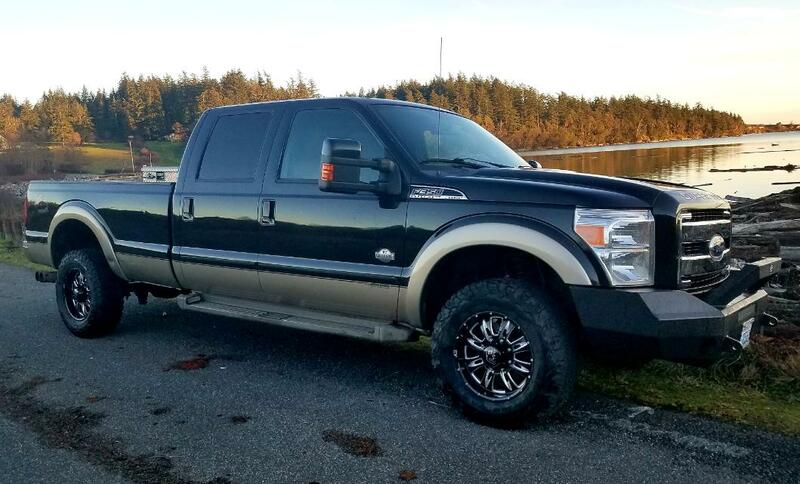 This Steelcraft was the next best looks wise, it's on par if not better than a Ranch hand material wise but as you can see the craftsmanship just isn't the best. The Fab Fours bumper I had on my '06 was AMAZING. Very sturdy construction, they thought of everything and it was fairly cheap. I wish I would've wen't with the Fab Fours on this truck too, maybe if I get a rear bumper that's what I'll do. That bumper had holes drilled and threaded on the top so that you could buy the hitch attachment later and get a hitch mounted winch, the front plate in the middle came off if you ever damaged it, over all it was just very well thought out. I opted to send them an E-mail regarding the issues with the faded look, the caulk, and the mis fitting fog lights because when I'm not pleased with something I don't really express myself in the best way over the phone. E-mail allows me to write it out, read it, edit it, send pics, etc. E-mail went out this morning so hopefully we'll hear back by the end of the week. I sent the same E-mail to the manufacturer as well as the distributor. The bumper comes with a 3 year warranty I think it was but I don't want to send this bumper back and be bumperless for 3 weeks. As for me this week, I got Torque App working on my repurposed Kindle Fire. I have some stuff to iron out but it works! joebuck and Red Ford like this. @roverjosh do you have a touch screen infotainment system or is it the standard one? I wander if you could use the Kindle as a infotainment system. Well regarding the bumper I brought to a friends welding shop, he said since it's already coated it's best just to leave it as is. We took it off the truck to look at all the welds and there is no caulk on the structural part of it, just where they put the cover thing on the bull nose part of it. It eases my mind that it's only "decorative caulk" but it's still annoying. As for the haziness of it, he said that they might've put some sort of product on it for transportation and it might be decomposing or something. He was able to take it into his shop and use the same degreaser he uses for all the new metal he gets and I re waxed it so only time will tell now. And I finally broke down and washed it. I hate the 1 day of sun and 2 days of rain, hard to keep a truck clean. 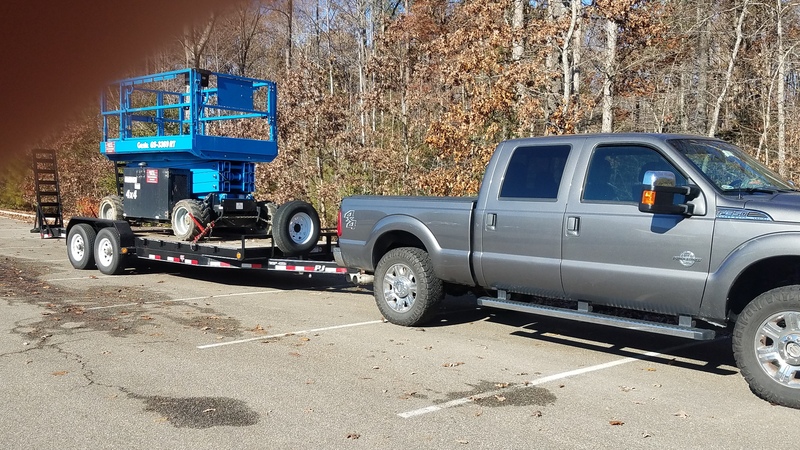 Thais a real nice looking truck... im looking at a few 15' KR's i know the answer but you have a 2011... how do u like the truck itself over ur other KR? Unfort, all of the ones im looking at are in the high 40s... i want a new truck but will have to settle for an 11=16 i think.